In Sports News this Monday: Roman Kreuziger again comes ninth in cycling’s Tour de France; Barbora Špotáková is racing to be fit for the women’s javelin at the European Athletics Championships; and Sparta Prague’s Tomáš Řepka could find himself in hot water after appearing to spit at an opponent. Roman Kreuziger (left), photo: CTK The Czech Republic’s Roman Kreuziger has finished ninth in cycling’s Tour de France for the second time in a row. The Liquigas rider, who is 24, finished 11 minutes and 54 seconds behind winner Alberto Contador in this year’s tour. He had been in seventh overall after the first week, but fell back somewhat in the Alps, only to get back into the first ten thanks to some strong performances in the Pyrenees. Speaking after the race came to a climax on the Champs Elysees on Sunday afternoon, Roman Kreuziger said he wasn’t too disappointed not to have improved on last year’s placing. Barbora Špotáková, photo: CTK The Czech team are in Barcelona for the European Athletics Championships, which get underway on Tuesday. 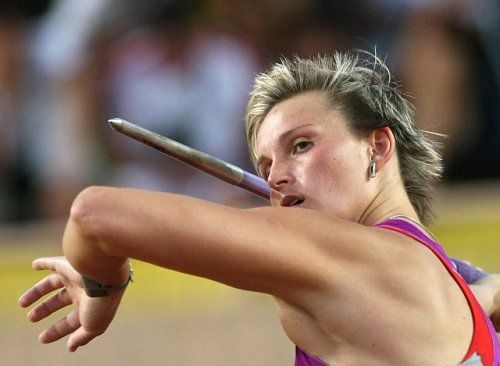 One of the country’s strongest medal hopefuls should be women’s javelin world record holder Barbora Špotáková. However, the Olympic champion sustained an elbow injury at a Diamond League meeting last week, and says she is having to work extremely hard to get fit in time for the heats. Tomáš Řepka (left) and Václav Ondřejka during the weekend match, photo: CTK One of the biggest talking points of the weekend’s action in Czech football’s first division was an unsavoury incident in Sparta Prague’s 2:1 win over Slovácko, when television pictures seemed to show Sparta’s Tomáš Řepka spitting at the visitors’ Ladislav Volešák. 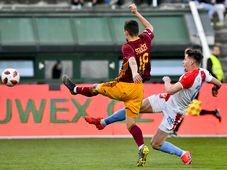 The referee missed the incident, but the hotheaded defender could find himself facing severe sanctions if the matter comes before a disciplinary hearing.